The dermis of women is more elastic and weaker than that of men. Many adipose cells, which have elastic properties and take up increased acids and metabolic wastes, are found in subcutaneous tissue. Collagen fibres, which provide skin strength and elasticity, run parallel to each other in women, while in men the fibres form a type of stabile webbing in the skin. That’s why growing fat cells in the thighs, buttocks, hips and arms can push between and through collagen fibres to cause a dimpling effect. X-BIONIC® Cohesion Wrap® Technology targets the female anatomy. Its compression and special zoned structure mean less lactate and metabolic waste can penetrate tissues: stabilises and supports connective tissue, improved metabolism and breakdown of metabolic wastes, decreased skin dimpling, less vibration. Vicarious Connective Tissue offers support to connective tissue. That provides from the outside what female connective tissue is lacking on the inside: stability. Its compression and special zoned structure mean less lactate and metabolic waste can penetrate tissues. 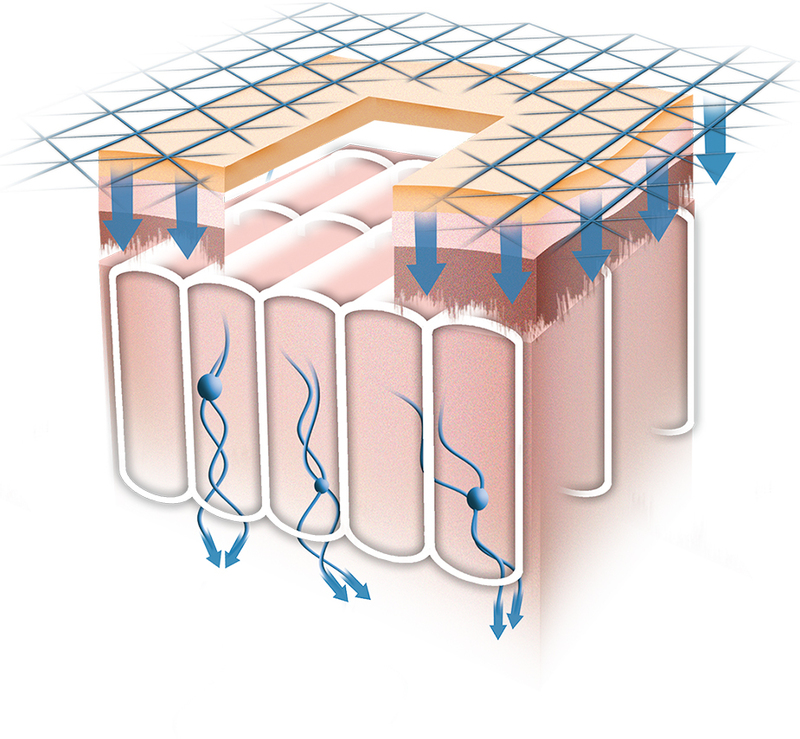 That supports lymphatic flow and can inhibit the buildup of dimpling. The Cohesion Wrap® Technology supports and stabilises the areas of the female body with weak connective tissue. Cohesion-Wrap Technology supports and stabilises areas of the female body with weak connective tissue.